Walk to Class! This 2 bedroom 2 bath home is located just off of LSUâs Campus in a gated community. 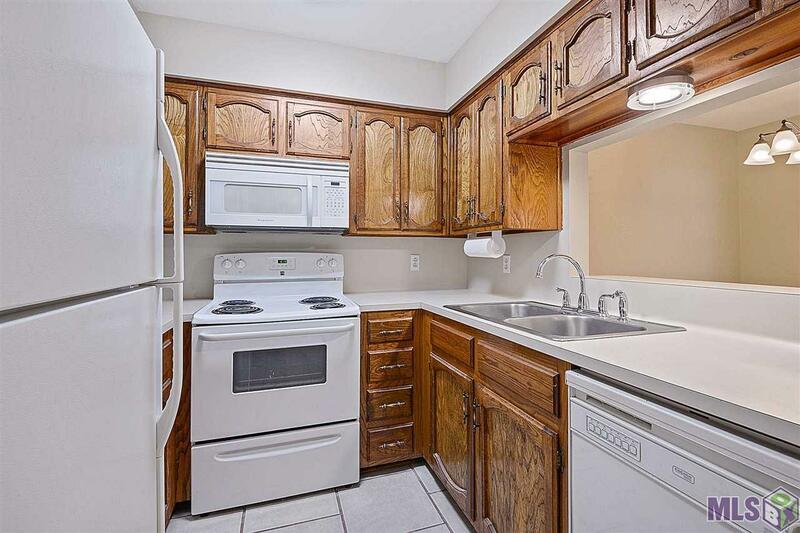 A ground floor unit, this home has a galley style kitchen with all appliances included a refrigerator, upright washer and dryer in the laundry area, and 2 spacious bedrooms. There is even a patio courtyard surrounded by a privacy fence. There is a gunite pool located on the property as well. With the convenience of the location of this home, you can leave your car parked while you walk or bike to class, restaurants, and many other activities. This home has been freshly painted and has some updated lighting too.